In 1971 Professor V.K.R.V. Rao, the then Minister of Education/Ministry of Human Resource Development (Government of India) and Chairman of the Central Sanskrit Board, planned the First International Sanskrit Conference. 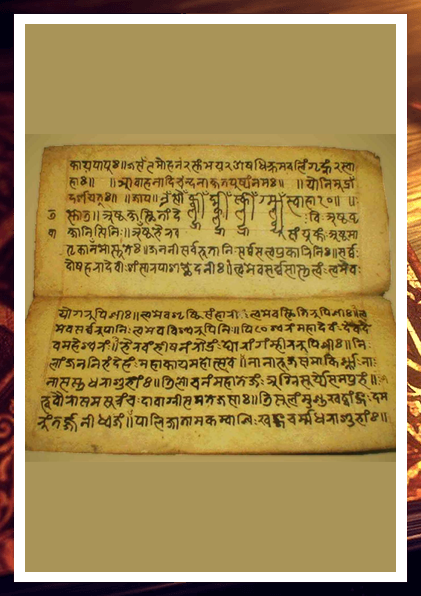 The two themes he suggested for the proposed Sanskrit Conference were the contribution of the various regions of the world to Sanskrit Studies and the contribution of Sanskrit to the advancement of knowledge in different regions of the world. This first Conference had to be postponed to 1972. In close cooperation with Professors V. Raghavan, R. N. Dandekar and other scholars, Universities and Sanskrit Institutions, the first postponed International Sanskrit Conference/ Viśva Saṃskṛta Saṃmelana was held at New Delhi in March 1972, under the joint auspices of the Ministry of Education (Government of India) and the Rashtriya Sanskrit Sansthan. It was during the valedictory session of the Conference that, with the permission of the Ministry of Education, a decision to establish the IASS was taken. The idea behind this first International Sanskrit Conference coincided with the perception in the 1970s that the International Congress of Orientalists, as the International Congress for Asian and North African Studies was then called, did not allow sufficient scope for a full discussion of Sanskrit and allied subjects. It was against this background that at the 29th International Congress of Orientalists, held in Paris in 1973, a year after the First International Sanskrit Conference in Delhi, Sanskritists from various countries endorsed the formation of the International Association of Sanskrit Studies and drafted its constitution. The main task of the IASS was agreed to be the organizing of a World Sanskrit Conference at different venues around the world. The 1972 International Sanskrit Conference in New Delhi was recognised retrospectively as the First World Sanskrit Conference. The IASS expressly thanks the INDOLOGY website and its founder Dominik Wujastyk for hosting the website of the IASS between 2001 and 2008, and the Rashtriya Sanskrit Sansthan and its Vice-Chancellors Professors V. Kutumba Sastry and R. V. Tripathi for hosting it between 2008 and 2012. 1. Between the undersigned and all the other persons who adhere to the present statute an international association is being formed in accordance with the decree of 12 April1939 and the laws subsequently promulgated. The Association is called the International Association of Sanskrit Studies (IASS), in French Association Internationale pour les Études Sanskrites. IASS is a member of the International Union of Oriental and Asiatic Studies and, through it, it is affiliated with the International Council of Philosophy and Human Sciences (CIPSH). 2. The seat of the association is Paris: c/o Collège de France, 52 rue du Cardinal Lemoine, F 75231 Paris Cedex 05. The Association can be transferred to another place by declaration of the Board. 3. The duration of the Association is unlimited. 4. The Association, so created, has for its purpose to promote, diversify, intensify and coordinate Sanskrit Studies in all the countries of the world; to maintain contacts with the organising committee of the International Congresses of Asian and North African Studies; to organise international conferences of Sanskrit studies; to promote scholarly publication of Sanskrit-based studies; to establish and foster relations with national associations of Sanskrit studies. 5. The Association, so created, comprises national associations for Sanskrit studies established in different countries of the world, active members, honorary members and patrons. ii. - to be presented by two members of the Association and be accepted by the Board; the Board decides independently without need to divulge the motives of its decision. Physical persons and institutions can become active members of the Association. Should a national association of Sanskrit studies or an institution express the wish to become members of the IASS, it must be represented by a physical person designated by these organisations. 7. In order to become an honorary member or a patron, the Consultative Committee of the Association must express its agreement. A limited number of scholars particularly meritorious for their services to the Association may be elected as Honorary President or Honorary Member, as appropriate. A limited number of scholars of international standing but without institutional affiliation may be elected as Research Fellows (honorary) of the Association. 8. National associations of Sanskrit studies and active members must pay an annual fee to the International Association of Sanskrit Studies. 9. The amount of the annual fee for members of the IASS is fixed each year by the decision of the Board. 10. Every member has the right to resign from the Association. 11. The Board will decide on its own to strike off the roll or suspend a member in case of a serious offence to the honour or legitimate interests of the Association. The non-payment of dues during two consecutive years causes the loss of membership. 12. The Association is administered by the Board, helped by the Consultative Committee. 13. The General Assembly of IASS shall elect the Board composed of the President, Secretary General, Treasurer and six Regional Directors. The Consultative Committee normally consists of about 15 members. i. Members of the Consultative Committee are elected by the General Assembly by the majority of members present or represented. Nomination of candidates is made at the proposal of one of the representatives of the National Associations or a member of the General Assembly. ii. It is noted that in the Consultative Committee each National Association, if it so wishes, may have at least one representative. iii. All elected members are elected for a period of 6 years, but the representative of National Associations may ask the Consultative Committee to replace their representative during each General Assembly. 15. The Board has to meet once every 3 years or more often, if necessary. 16. All the powers to run and administer the Association are vested in the Board. The Board can delegate its powers to one of its members. The minutes of the meetings of the Board are signed by the President and the Secretary General; they register the decisions taken by the Board. 17. The President convenes the meetings of the General Assembly. He represents the Association in all civil matters and is vested with all powers to this effect. He has, in particular, the right, with the authorisation of the Board, to represent the Association before the Courts as plaintiff and defendant. He presides over the assemblies of the Association. 18. In case of absence or impossibility of acting, he is replaced by a member of the Board. 19. The Secretary General is in charge of the correspondence, archives, convocations of meetings and assemblies, preparation of the minutes and registers provided by the law. 20. The Treasurer is in charge of the administration of the assets of the Association; he makes all the payments and receives all dues of the Association; he cannot alienate the assets belonging to the Association unless he is so authorised by the Board. He keeps account of regular transactions carried out by him and prepares a report of his activities to the General Assembly. He may be aided by a professional accountant chosen by the Board. 21. The General Assembly of the Association is composed of the authorised representative (or representatives) of the national associations and of individual members. Each national association shall have five votes and individual members will have one vote each. 22. Members of the Association listen to the reports presented by the President, the Secretary General and the Treasurer on their respective activities, including finances; approve or straighten out the accounts; and debate all the questions brought before them by the Board. The General Assembly appoints two auditors who examine and verify the accounts for the past period for which the Treasurer presents a report to the General Assembly and on which the General Assembly pronounces. 23. Decisions are taken by the majority of members present or represented. They are recorded in the minutes approved by the President and the Secretary General. Each member has the right to represent two other members, if he produces a written proxy. 24. Yearly receipts of the Association consist of dues of active members and benefactors; public subventions; revenues from the property of the Association; revenues derived from the organisation of meetings and publications; contributions. 25. The Statute can be modified only by an extraordinary session of the General Assembly called specially by the Board, at the proposal of at least one quarter of its active members, if the provisional agenda contains this point on its order of the day. 26. A two-thirds majority of members present or represented at the General Assembly and at least half of the whole membership of the Association is needed for the decision on the modification of the Statute. 27. If the proposal for the modification of the Statute is not carried, a new convocation of the General Assembly with the same agenda can be called in three months at the latest. At that time a majority of two-thirds of members present or represented is sufficient for the adoption of the proposed change to the Statute. 28. The decision on the dissolution of the Association can by reached by the General Assembly by the majority of the registered members. If this number is not reached, a new General Assembly must be called and then the decision can be taken by the General Assembly by a two-thirds majority of members present. The property belonging to the Association can only be allotted to members of the Association in an amount no higher than their own contributions. 29. The Board, if it so wishes, may publish by-laws and interior regulations of the Association which determine detailed conditions for the application of the Statute and the good functioning of the Association. 30. The President is charged with the fulfilment of the necessary formalities for the constitution of the Association or the modification of the Statute. 31. The present Statute will become effective after it is adopted by the next General Assembly. §§ 16, 17 and 24 were modified at the Meeting of the Board and the Consultative Committee in Stockholm, 15th October 1980, § 13 at the Meeting of the Board and the General Body in Bangalore, 7th January 1997, § 7 at the Meetings of the Board and the General Body in Helsinki, 15th and 16th July 2003, §§ 13-16 were modified and the former § 23 deleted (with consequential renumbering) at the Meetings of the Board and the General Body in Kyoto, 2nd and 5th September 2009. In 1971 Professor V.K.R.V. Rao, the then Minister of Education/Ministry of Human Resource Development (Government of India) and Chairman of the Central Sanskrit Board, planned the First International Sanskrit Conference.